Events - Author. Tall guy. 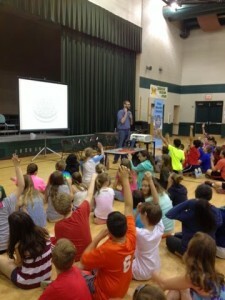 As a former reluctant reader himself, Jeff tries to make his author visits fun, engaging, and inspiring for young readers. 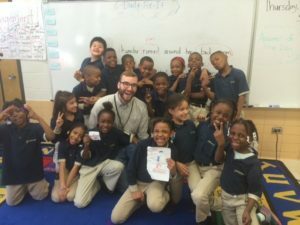 Whether it’s an entire day, stopping by to visit a classroom, or just a Skype visit, Jeff focuses on the importance of hard work and positivity. He enjoys talking about his experiences as a storyteller and writer to readers and writers of all ages. His visits have taken him across the country, where he has talked books with students from Kindergarten to 6th grade. He’s even ventured into the angsty depths of high school classrooms to discuss a career in writing. If you’d like to discuss Jeff visiting your school or library, please send an email to jeffmillerbooks@gmail.com. Facebook Live and Skype Visits! Jeff is fortunate to be included in SSYRA, the Sunshine State Young Readers Program. Students all over Florida have been reading Jeff’s books, and he’s lucky enough to get to share some time with some of them. Reach out if you’d like to set up a Skype visit with Jeff! Jeff will be signing books alongside tons of fellow Ohio authors. Come say ‘hi’ and pick up a few autographed copies of The Nerdy Dozen for those beloved ‘tweens in your life.